Abdullah Mohammad Saad was born in 1985 in Chittagong, Bangladesh. He graduated with a degree in Education and Research from the University of Dhaka, before starting to make short films and founding his own production company. His first film, Live from Dhaka (2016), won Best Director and Best Actor prizes at the Singapore International Film Festival 2016, juried by Kawase Naomi, and has also been selected at International Film Festival Rotterdam 2017, Festival Cinema Africano Asia e America Latina 2017, International Film Festival of South Asia Toronto 2017, and Jeonju International Film Festival 2017, among others. Jeremy Chua is a producer and screenwriter based in Singapore. His company, Potocol, was founded in 2014 and co-produced A Yellow Bird (K. Rajagopal, 2016), a nominee of Critics’ Week Grand Prix and Golden Camera at Cannes Film Festival 2016; A Lullaby to the Sorrowful Mystery (Lav Diaz, 2016), winner of the Silver Bear Alfred Bauer Prize at Berlin International Film Festival 2016; Brotherhood (Pepe Diokno, 2015), which premiered internationally at the Karlovy Vary International Film Festival 2016; and A Family Tour (Ying Liang, 2018) which was opening film in international competition at Locarno Festival 2018. 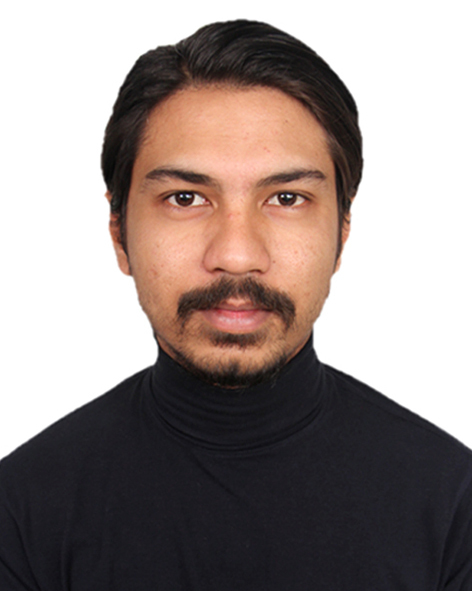 Rajib Mohajan is a journalist, filmmaker and producer based in Dhaka, Bangladesh. His journalistic work includes documentaries and news programs for various national and international media outlets, such as Al Jazeera Network, Nameless Network, the British Broadcasting Corporation, Pear Video, and Jamuna Television. He has also directed television commercials and drama series for local channels. After witnessing a sexual assault, Rehana, an assistant professor at a local medical college, finds herself in a difficult position as she knows both the victim and the perpetrator. The female victim chooses to bury the incident but the teacher who assaulted her begins to fall apart due to unbearable guilt. Rehana helps him cope with his guilt through a terrifying ritualistic self-punishment. But, then the victim changes her mind and files a complaint with the principal, in which she mentions Rehana as an eyewitness. At the end of the investigatory process, the judgment will rest solely upon her statement and Rehana must choose a side. If she tells the truth, the teacher, who she believes has already been punished enough, will be prosecuted accordingly; if she lies, the girl will be expelled permanently from the college for attempting to disgrace a well-respected teacher. Rehana finds herself locked in a dilemma and can see no way out.